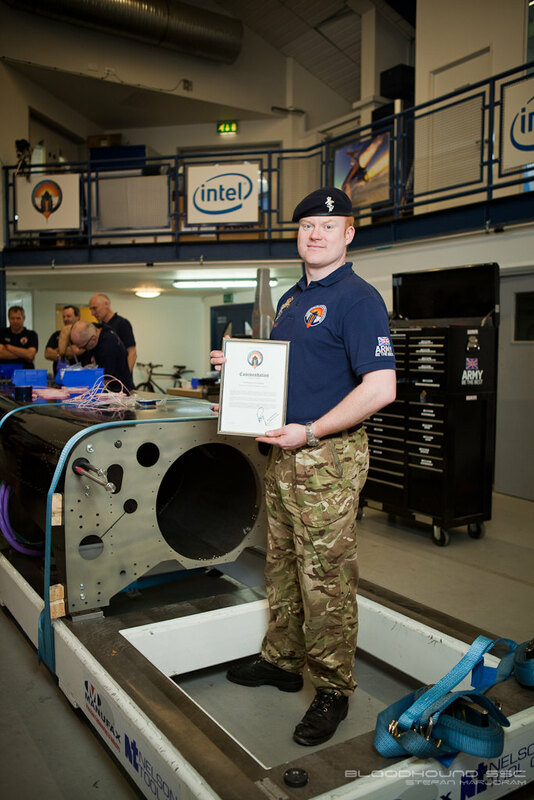 Major Oli Morgan is the Team Leader for the Army’s involvement in the Bloodhound SuperSonic Car project. As an Aircraft Engineering Officer in the Royal Electrical & Mechanical Engineers (REME), his technical background on Apache is used to good effect to provide the Bloodhound team with technical advice on Engineering Assurance. In addition to his engineering role, he is also responsible for recruiting each six-month attachment of personnel and managing the team on a day-to-day basis. This summer Minister for Universities and Science, David Willetts MP, formally opened the new Bloodhound Technical Centre in Avonmouth, Bristol. It was a fantastic event with the Minister talking about the importance of UK skills and the increasing demand for Scientists, Engineers and Mathematicians. 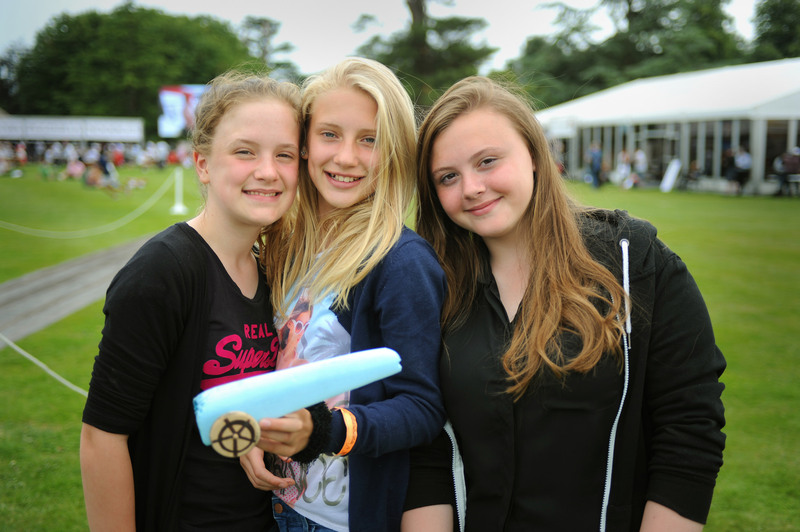 And it’s this challenge that Bloodhound SSC intends to tackle – to inspire kids into STEM subjects by building a car capable of 1000 mph and allowing the student population to be able to engage and follow the project. 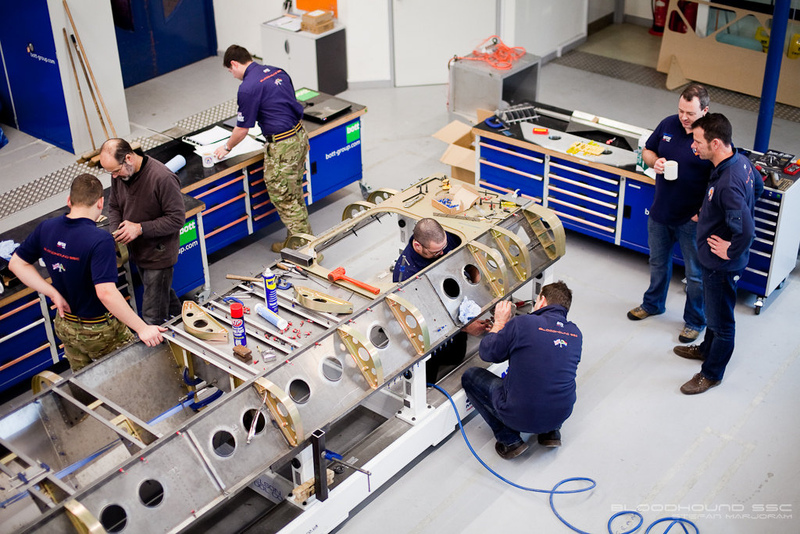 Bloodhound SSC’s new technical centre has been occupied for a few months while the team have been commissioning the site and getting all the workshop machines ready to go. The new centre looks impressive and provides the design team as well build engineers/fabricators with a great facility in which we will build the car. A special mention must go to SSgt Neil Gallagher who received a commendation from Director Richard Noble for his part in managing the move to the new Avonmouth site. SSgt Gallagher got permission to extend his attachment by 2 months to see the move through to completion. He has since handed over to his successor SSgt Ben Richards who continues the role of Workshop Manager supporting Chris Dee (Build Manager) to ensure the machines are fit and are available at all times. The composition of the second team of REME tradesmen has developed to reflect the changes and demands of the build as it continues. As we move into the assembly of the rear upper chassis, SSgt Ben Richards’ experience repairing aircraft on Operations comes to the fore. 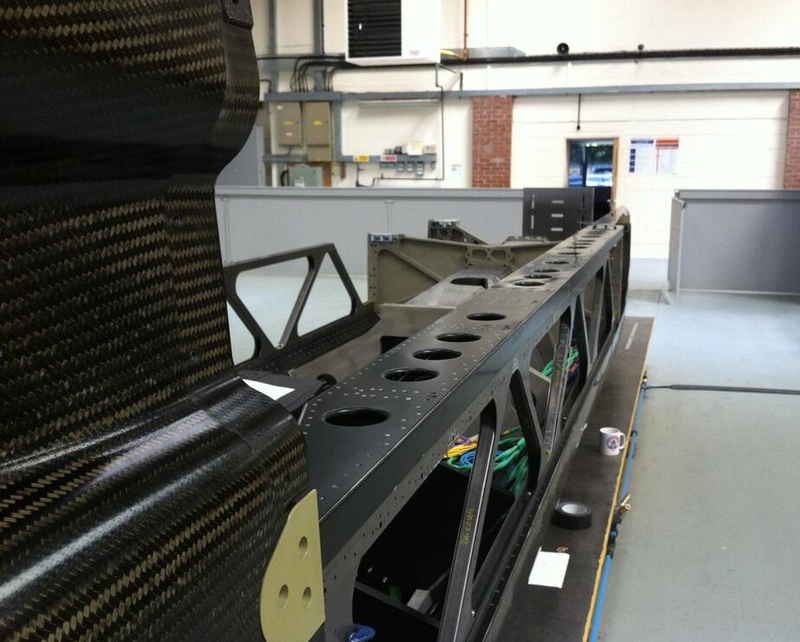 He has been helping to build the chassis rails that connect the carbon fibre monocoque to the rear lower chassis. SSgt Ben Richards is one of two Artificers on the Army team. 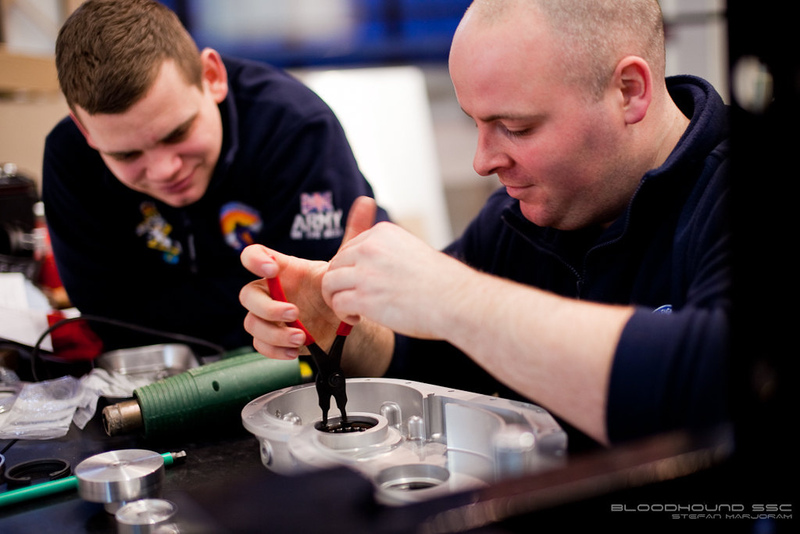 Artificers are the REME’s technical fast track managers and are amongst the most respected soldiers in the British Army. 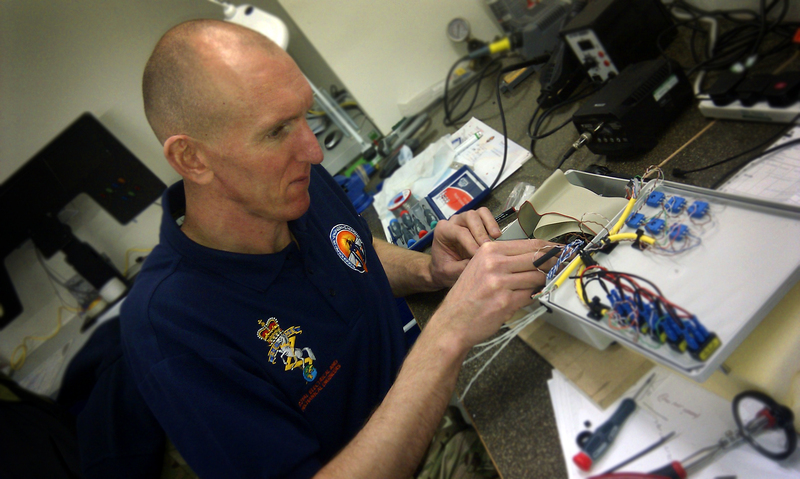 Alongside Ben, is SSgt Henry ‘H’ Breed who is an Electronics Artificer and works with Joe Holdsworth on the Bloodhound’s electronic control systems. He has continued AQMS Mark Edwin’s work prototyping EJ200’s control system as well as developing the electronics of a number control systems. On the mechanical side of the project, Corporal Lisah Brooking has been working with Lee Giles on the rocket development system. She has done a fantastic job and has developed her technical knowledge testing the F1 engine’s custom gearbox at X-trac near Reading. The last member of the team – and certainly not least, is Craftsman Andy Pike who is an Armourer and the youngest engineer on the whole project. Cfn Pike is normally found working in patrol bases repairing weapon systems with the Infantry. He has used his technical knowledge and manufacture skills to support some of the more senior fabricators assembling the car. So what is happening with the vehicle build at the moment? We have been lucky that we could continue building the car whilst the building has been commissioned. All of the workshop machines supplied under Bloodhound contract with the Army have been delivered (thanks SEAE and SEME) and the machine shop is now ready to start production of smaller components. The machine shop, with lathes, mills, folding and cutting machines, to mention a few, is an important addition to the Technical Centre. It will save time and provide agility when essential components are needed that can’t be sent to suppliers. Positioned in the centre of the workshop, not far from the machine shop, is a huge surface table that the Bloodhound SSC car will be built on. So why do we need to build it on a metal surface 30 cm off the ground? We need an incredibly flat surface to build on to ensure that we can accurately measure the car as it is assembled – you wouldn’t want us to put it together wonky! Dan Johns, who has spent much of his career working with Airbus as a Manufacturing Engineer is using a laser scanning system to ensure that the car’s components are placed as accurately as possible in the X, Y and Z axis. 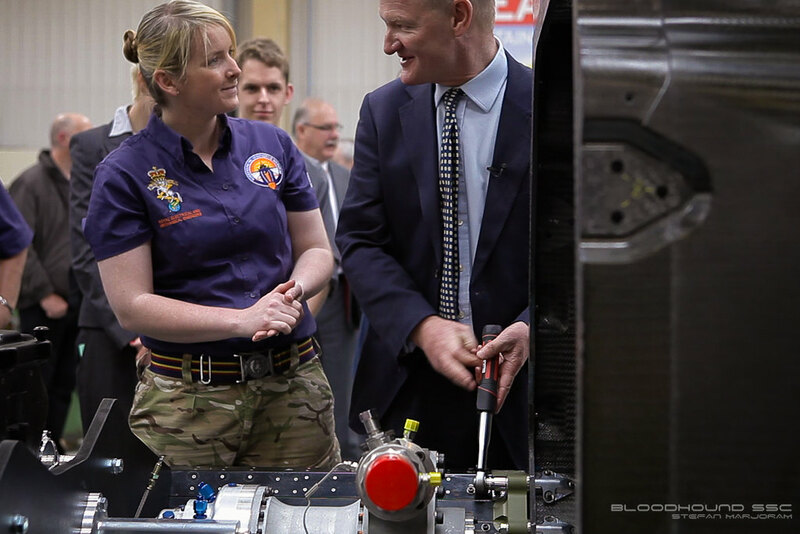 David Willetts MP had the honour of tightening up the bolts that connect the lower chassis and monocoque together – all under the watchful eye of Cpl Lisah Brooking! The most recent work has been the arrival of the chassis rails which have come back from the autoclave and are now fitted to the car. The fabrication team have done a great job, delivering ahead of time to assemble, Kephos (black anti corrosion paint), re-assemble/glue and cure – and with an accuracy of 0.4 mm variation over 6 metres. The lattice structure on the side of the car (where the red dot is) has been dry assembled to ensure that all of the resources required to complete the work package are ready to go. The combination of the chassis rails (green dot at either end) and the lattice will provide increased stiffness to the body of the car – in a similar way to that of a bridge. Now that Dan Johns has laser scanned and measured the mating surfaces, we have the assurance that we will be building on an accurate and level plane which means that the jig can be made available to start to receive the initial sections of the upper chassis which has been designed similar to the construction of an aircraft. Within this structure, the EJ200 developmental engine will be suspended beneath the structure, with the fin supported on top! 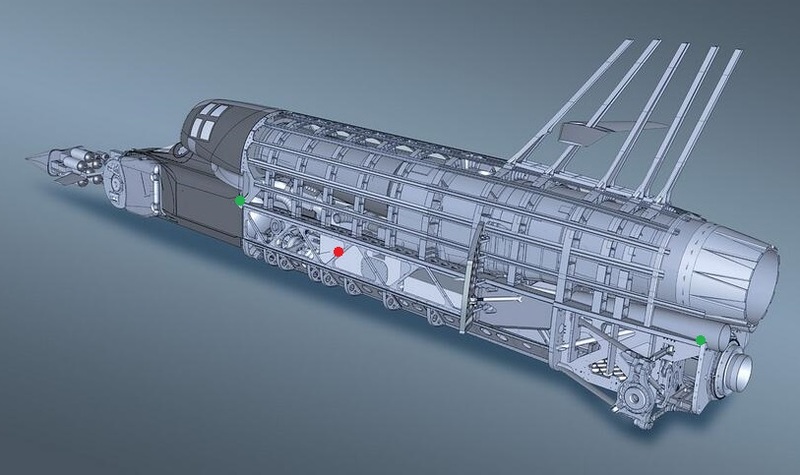 The upper chassis is going to be a big job with over 11,000 holes to drill, prepare and rivet – I will keep you updated when the job starts and how it progresses. 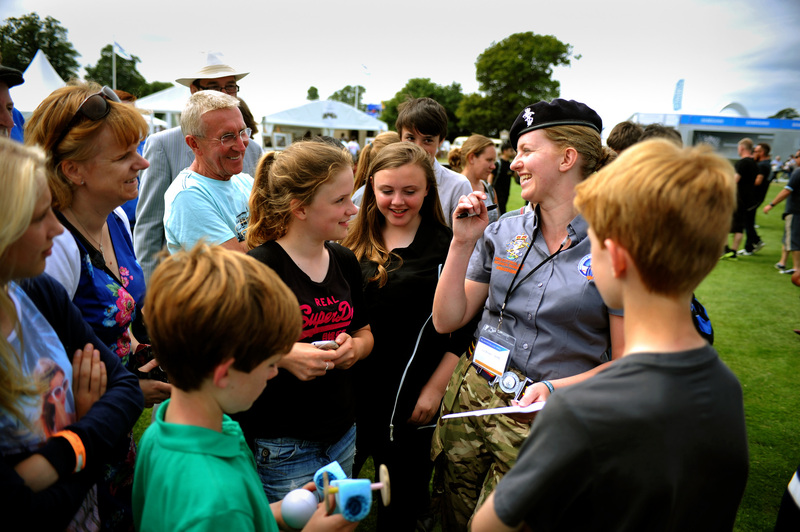 Next blog I will be writing about the REME team and our time at Goodwood Festival of Speed talking to kids about engineering and science and Bloodhound SSC! 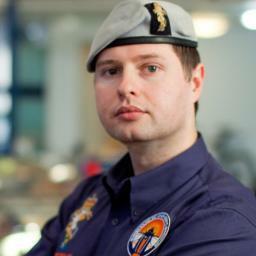 Major Oli Morgan is the Team Leader for the Army’s involvement in the Bloodhound SuperSonic Car project. As an Aircraft Engineering Officer in the Royal Electrical & Mechanical Engineers, his technical background on Apache is used to good effect to provide the Bloodhound team with technical advice on Engineering Assurance. In addition to his engineering role, he is also responsible for recruiting each six-month attachment of personnel and managing the team on a day-to-day basis. 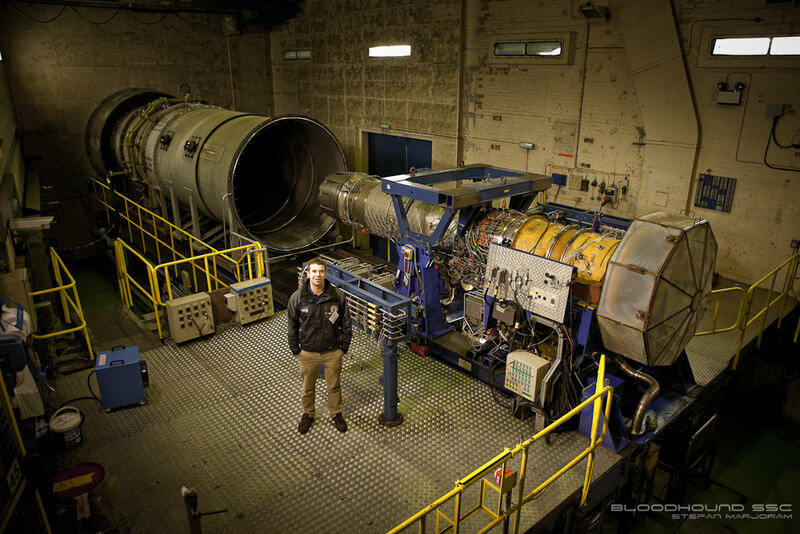 Last month the Bloodhound SSC team tested a Typhoon development jet engine using the electronic control system destined for the supersonic car. The test was held at Rolls Royce’s test facility and proved the system developed by Joe Holdsworth and REME Avionics WO2 (AQMS) Mark Edwin worked as designed. The unlikely grouping of a former financial software programmer and an Army Avionics Instructor has proven a winning combination. Joe Holdsworth has developed the code with Mark Edwin bringing the concept into reality, building prototype electronics from his knowledge of military aircraft. The pair have created a control system the size of a sandwich box that has allowed the Bloodhound team to control the EJ200 engine as if were wrapped up in an aircraft. The development has been no mean feat and has relied on the advice of Rolls Royce technical experts to get around the aircraft engine looking for airspeed, temperature and pressure inputs – it’s been a challenging project but the pair have been hugely successful. So, why is this ‘box of tricks’ so important? The Bloodhound SSC team are using one of the smallest most powerful jet engines of its type to get a competitive advantage in order to propel the eight-tonne British Land Speed contender though the sound barrier and beyond. The control system is needed to allow driver (Wg Cdr Andy Green) to throttle the jet engine in conjunction with a bespoke High Test Peroxide Rocket to get Bloodhound SSC to break through the supersonic barrier in South Africa in 2014. The combined power of the jet and rocket system is equivalent to 135,000 hp, six times greater than all of this season’s Formula 1 cars on the starting grid! WO2 (AQMS) Mark Edwin has now handed the ‘electronics baton’ over to SSgt Henry ‘H’ Breed who was with the newly arrived REME team at Rolls Royce’s announcement of their involvement in the project. Colin Smith, Director of Engineering and Technology set out that that Rolls Royce would provide financial and technical support as well as 50 educational ambassadors to support Bloodhound SSC’s aim to inspire the next generation of kids into careers in STEM. At the event I got talking about the way the programming language worked with the EJ200 engine; SSgt ‘H’ Breed joked that the system could be taken one step further and integrated with a motion controller. This confirmed something that has interested me for sometime – the successful control system could be connected to something like an Xbox Kinect to turn the engine on with the wave of a hand. Now I must caveat that the team will be providing Andy Green with a throttle lever, which is much more physical, but it does illustrate the massive potential of technology with a little programming and electronics knowledge. That evening my curiosity got the better of me and I spent a night reading more about motion sensing software to find that there are far more kids experimenting with Kinect technology than I had thought! This fact was reinforced at the Big Bang Fair with thousands of engaged kids mad about science and engineering and Bloodhound was there in force with the full sized show car as well as the entire REME team. Motion sensor technology was on display as were robots made by school kids and every kind of science – of note was the group from Welbeck Defence Sixth Form College who delivered a super remote controlled all-terrain vehicle and are off to carve out careers in the MoD when they graduate. 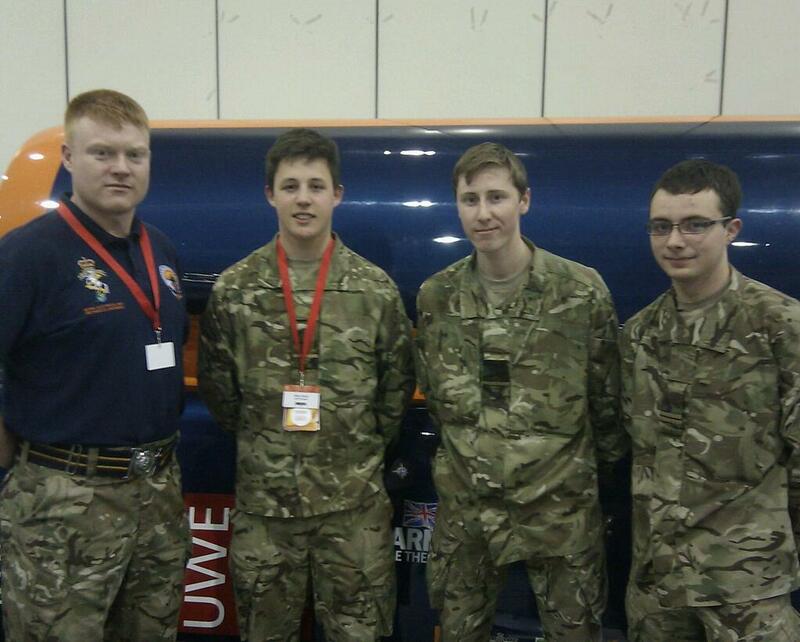 Welbeck Students with REME SSgt Neil Gallagher. 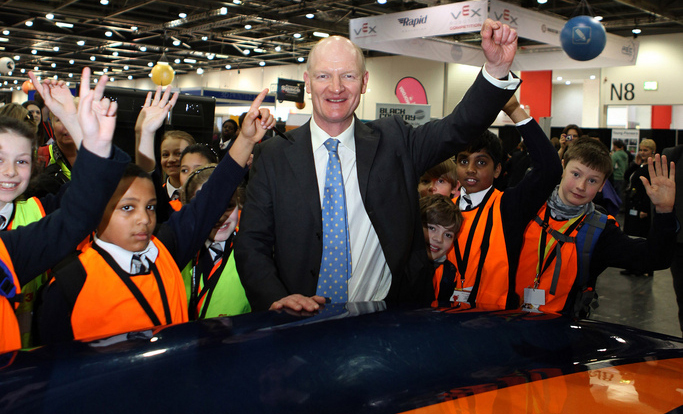 Reflecting on Big bang Fair and the Rolls Royce announcement – it was evident that there is serious interest in the technology and a sense that young people are much closer to the digital world i.e mobile devices than ever before and they are not scared to experiment. The exam question is: “how we harness young people’s natural interest in technology and point them towards a career in engineering or science?” Seeing the effect of the Bloodhound project on kids who came up to us on the stand in London convinced me that the work the Bloodhound Educational Ambassadors are doing is making a difference – the kids knew more about the car than the teachers/parents they dragged over. Next blog (part two) will be straight after this one to make up for a bit of a delay. I will introduce the new REME team and the exciting work they be doing as the Bloodhound car comes together in the new Bloodhound Technical Centre in Avonmouth, Bristol. 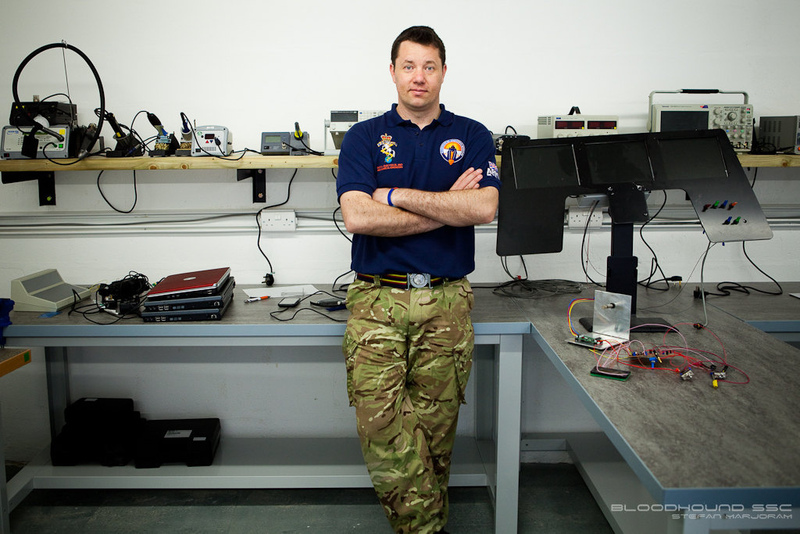 Major Oli Morgan is the Team Leader for the Army’s involvement in the Bloodhound Super Sonic Car project. As an Aircraft Engineering Officer in the Royal Electrical & Mechanical Engineers, his technical background on Apache is used to good effect to provide the Bloodhound team with technical advice on Engineering Assurance. In addition to his engineering role he is also responsible for recruiting each 6 month attachment of personnel and managing the team on a day to day basis. 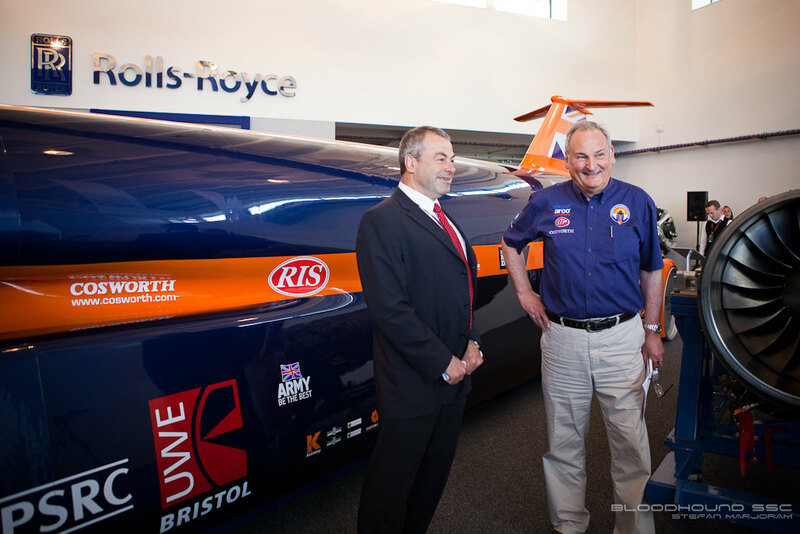 It was great to see the Minister for Defence Equipment Support and Technology last week at the Bloodhound SSC Technical Centre in Bristol. Philip Dunne MP visited the Army Team from the Royal Electrical and Mechanical Engineers (REME) working on Bloodhound SSC to see what we had been doing since we saw him at the signing of the MoD-Bloodhound Concordat in Oct 2012. Minister was impressed how we had integrated into the civilian team building the 1000 mph car and the ground breaking work the guys had been doing. I took the Minister around the workshop to allow each of the REME team to explain their role and what they had achieved during their attachment, which is fast coming to an end in March 13 (Details of the new team coming soon). 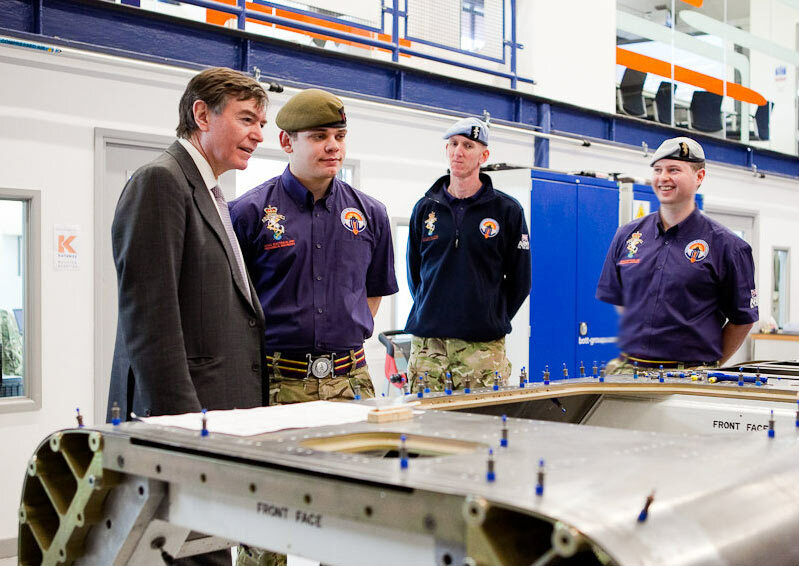 Craftsman Rob Fenn, our most junior tradesman (his rank is equivalent to Private Soldier), showed Philip Dunne MP the work that been done on the Super Sonic car’s lower chassis. Cfn Fenn has been part of a small group building this section of the car and he has also had the opportunity to work with Lee Giles, a very experienced mechanic formerly at McLaren R&D. The Minister was impressed by how much exposure Cfn Fenn had to wider engineering and his goal to work towards a Degree in Automotive Engineering. As a footnote to Cfn Rob Fenn’s role on the project, I must put his experience into perspective – he is 20 years old and has recently completed his apprenticeship after completing training at the Army’s School of Electrical and Mechanical Engineering. 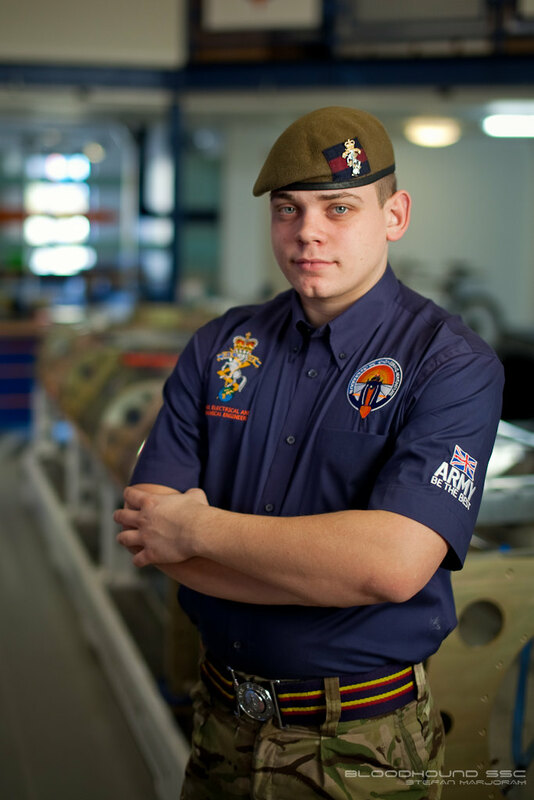 He was selected as an outstanding candidate in the REME interview process and has impressed Bloodhound’s F1 engineers and designers with his work ethic, willingness to muck in and drive to expand his knowledge. This knowledge transfer – in essence rocket powered professional development – is one of the key benefits of the MOD’s Concordat with Bloodhound. It will create a lasting legacy in each REME soldier’s career and have a positive impact on the Army’s ability to support equipment maintenance and repair, especially on Operations. 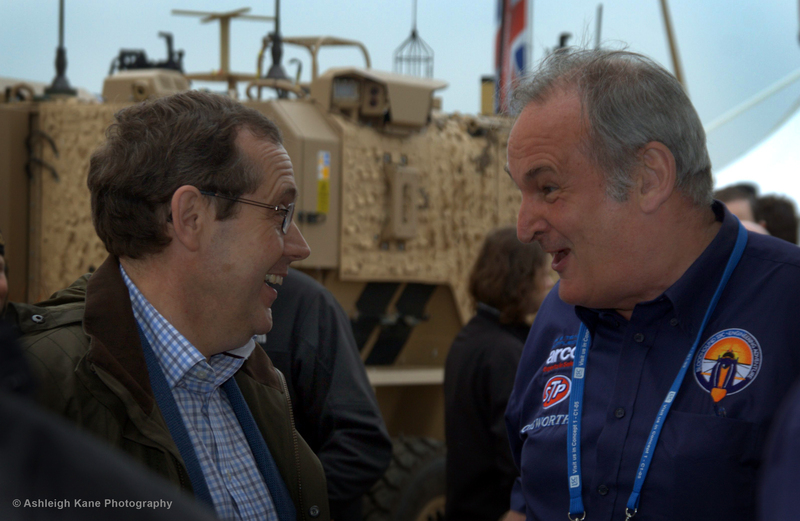 The origins of the MOD Concordat go back to last year at a chance meeting between Peter Luff MP, then Minister for Defence Equipment Support and Technology, and Richard Noble. 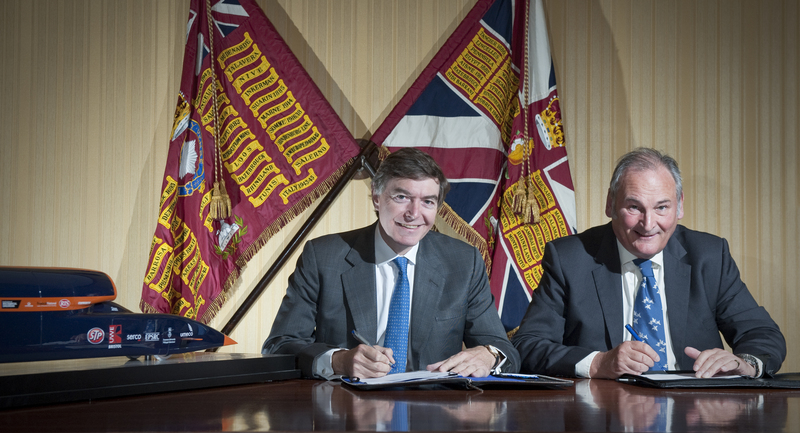 The meeting at DE&S’s Defence Vehicle Demonstration event led to an agreement being proposed that would draw together the various strands of collaborative work that already existed between the MOD and Bloodhound. This would provide a platform for deepening the relationship and express the Department’s and the Minister’s own belief in this ground breaking education project and the benefits that it will return to the Department and the Armed Forces. At last week’s visit to Bristol, the Minister got to see an example of REME tradesmen working at the cutting edge of technical development when I handed him over to WO2 (AQMS) Mark Edwin to explain his role developing the primary control system for the developmental EJ200 TYPHOON engines. The control avionics will allow Bloodhound’s driver, Wing Commander Andy Green, to control the engine and get the car up to speed before the rocket kicks in and blasts the car through the sound barrier. In the next blog I will touch on the work the electronic systems team have been doing with the EJ200 engine and the Minister’s reaction to the news that the WO2 (AQMS) Edwin and the team have built a system to control the engine which has been successfully tested on Rolls Royce’s engine simulator. While the Bloodhound-Army contract was being developed, I took the decision to start the recruitment process to find the best possible REME candidates to fill four positions working with Bloodhound SSC to build a car capable of 1000 mph . It was essential that this selection be completed as soon as possible as there was a risk that contract negotiations would continue up to the proposed start date on 1 Sep 12. I spent a long time reflecting on how the interviews should be conducted and who was to be on the interview panel. It was absolutely vital that potential candidates could be assessed by both senior Bloodhound engineers as well as REME officers. Also, to ensure that the process was transparent and fair, a marking scheme/range of competencies had to be agreed between both parties. I was very grateful for the support of Colonel Rod Williams (Army Chief Aircraft Engineer) and Mark Chapman (Bloodhound Chief Engineer) in the design of the interview format, which included trade competencies, team work, integrity and secondary skills. On a warm day in July 2012 and after a brief tour around Training Schools in Arborfield, the joint Bloodhound-REME panel got down to the business of interviewing tradesmen for four posts on the build team. Thirty outstanding applicants were hosted in historic West Court Officers’ Mess. Getting the hundred initial applications down to thirty was a real challenge as the standard was incredibly high. The panel was made up of the Head of Manning (REME Corps Colonel – Ian Gibson), Col Rod Williams and from Bloodhound Mark Chapman plus Chris Dee (Chief Mechanic) and Martyn Davidson (Operations Manager). The interview questions were designed to assess candidates competencies e.g. “can you give me an example when you demonstrated leading a team?” with particular emphasis on providing the interviewee the best opportunity to explain their key skills and why they felt they should be considered by the team. Left to right: Chris Dee (Col Ian Gibson out of shot), Martyn Davidson, Mark Chapman, Col Rod Williams, Cfn Rob Fenn. I was very interested to hear what the Bloodhound team thought of the standard of REME Artificers (Fast track middle management) and our NCOs/tradesmen. They were very impressed by the breadth of interviewees’ experience, particularly in very challenging circumstances and the need to think laterally/creatively when faced with a plethora of technical issues. Also the ability to speak clearly and confidently in what must have been an intimidating experience. The four tradesmen selected were Avionics Warrant Officer (AQMS) Mark Edwin, Artificer Vehicles SSgt Neil Gallagher, Metalsmith LCpl Graham Sargeant and Vehicle Mechanic Cfn Rob Fenn. I had the honour of calling each of them in turn and listening to the woops and celebrations (and silent dancing) at the other end of a mobile phone! I met up with the team met up for the first time at the start of September 2012 in Colerene to take over accommodation before moving off to the Bloodhound Technical Centre in Bristol for introductory meetings and welcomes. The first of which was a full Bloodhound team engineering meeting with around twenty of us being briefed on the project thus far – Craftsman Rob Fenn looked shocked when Wing Commander Andy Green sat down next to him and introduced himself.After the meeting the REME team were straight into the business of engineering and support to the rocket programme and deployed immediately to Cornwall. 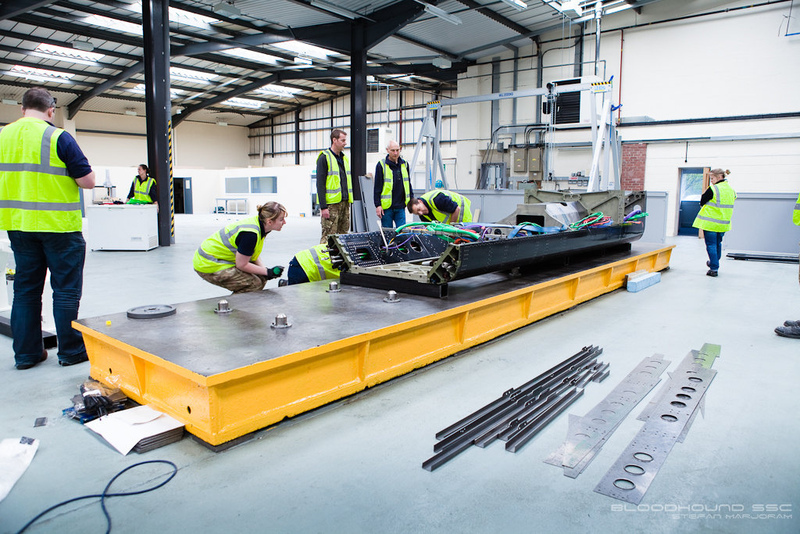 The main effort for the Bloodhound team during our very first month was to install the Rocket Trial test facility in Newquay Airport. This meant a busy period of assembly to structurally secure the test rig and its associated parts, including an emergency deluge gantry to soak the entire operation in the event of a leak of High Test Peroxide (HTP). The rocket trial was held in front of the international press with more than 100,000 people watching online. I can vividly recall the sound of the control centre buzzing with a mix of nervous excitement and expectation before the Cosworth Engine started its run up routine. The noise of the engine alone was incredible – team members suggested turning the speaker sound down to be told the sound was coming from the other HAS and coming through the walls! 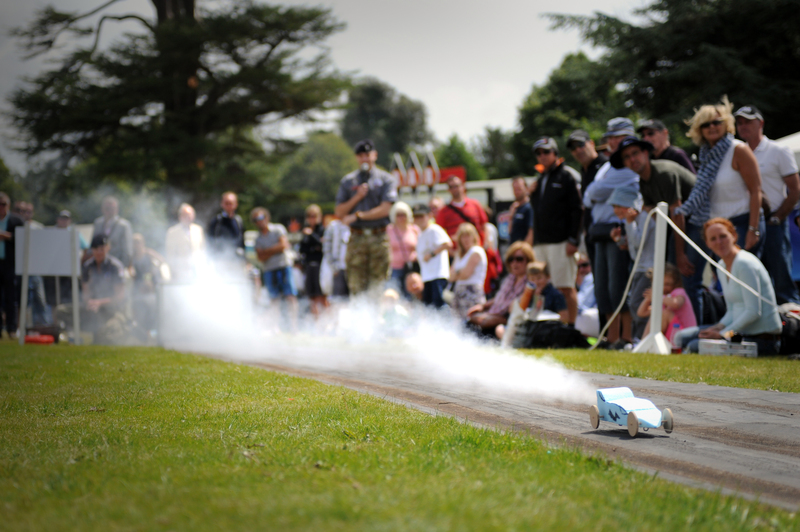 Then start: Cosworth engine at 16,000 rpm – rocket ignition – the build up of sound and vibration and the ROAR of the hybrid rocket….then the cheers from the crowd! The first few months has seen a frantic level of work whilst integrating into a world leading team of engineers. I am pleased to report that the REME team have been well received and we have held our own. Receiving positive feedback from our new colleagues has been immensely humbling and has dispelled any concerns that we may have been out of our depth. 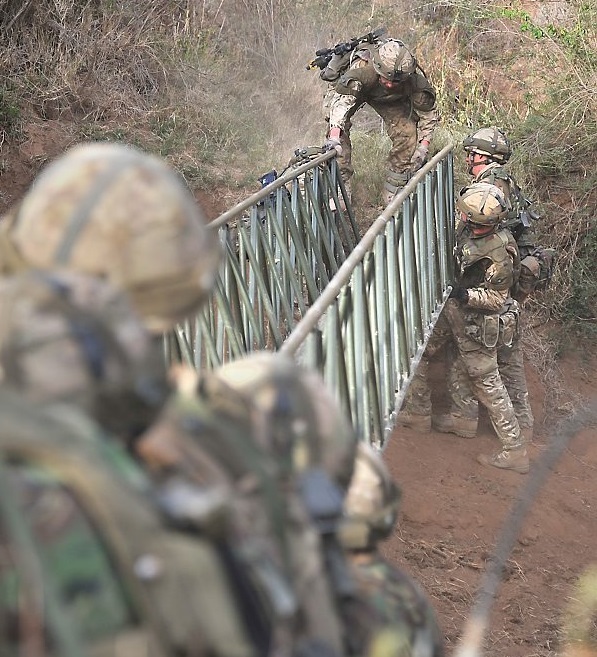 Our technical skills have been put to good use with the opportunity to demonstrate the positive work ethic and initiative displayed by all service personnel. We have also been grateful for the chance to publicly showcase wider REME capability to the civilian sector who appear eager to recruit high class engineers and managers. 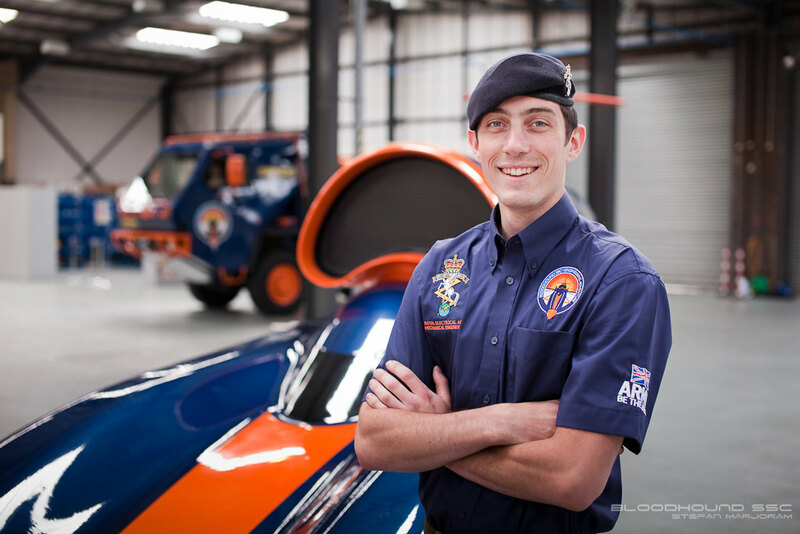 Bloodhound SuperSonic Car (SSC) is the name of a UK project aiming to break the land speed record with a car powered by a jet engine and a hybrid rocket motor. The car has a design speed of 1,050 mph (1,609 km/h). 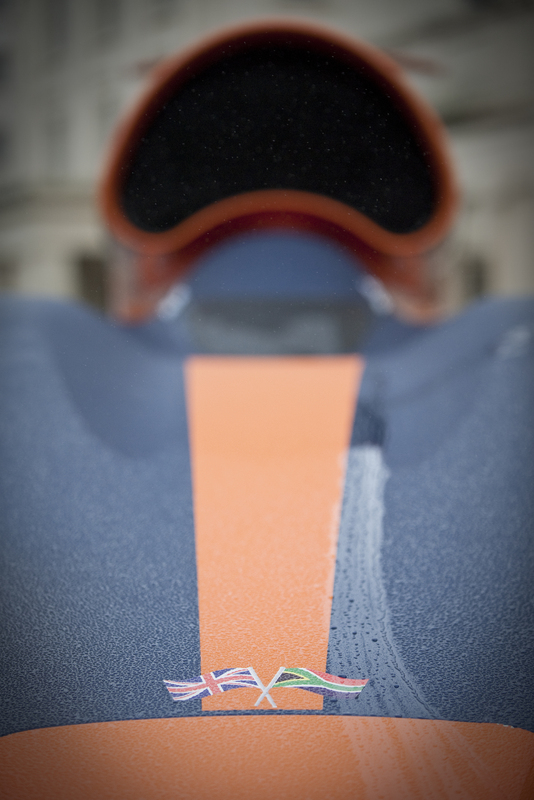 Bloodhound SSC is being developed and built with the intention of breaking the land speed record by the largest ever margin to inspire future generations of schoolchildren into careers in Science, Technology, Engineering and Maths (STEM). Record attempts are aimed for late 2013 (850 mph) and 2014 (1,050 mph) on the Hakskeen Pan in South Africa, with run data being published on the internet for the student population to follow and download. 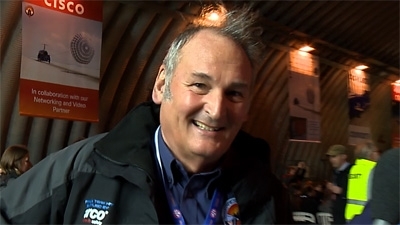 The Bloodhound SSC project is headed by Richard Noble OBE, former driver of Thrust 2, who broke the land speed record and achieved 633 mph in 1983. 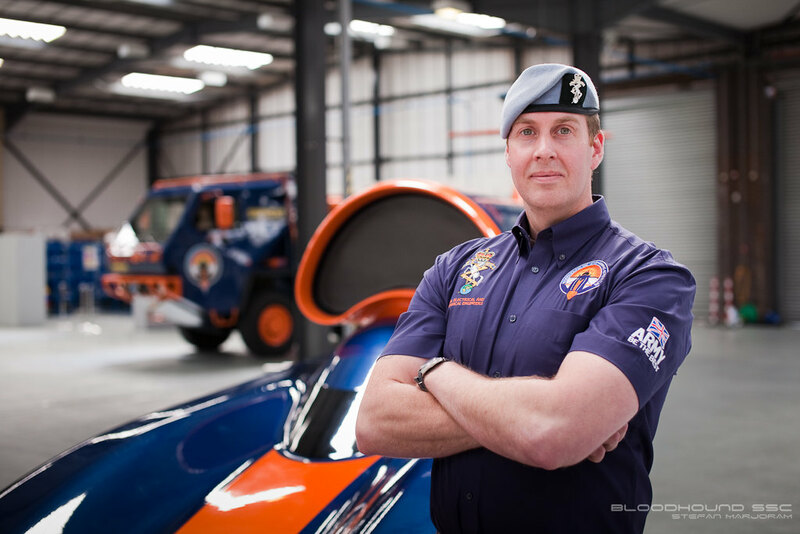 In 1997, RAF Wing Commander Andy Green set the current record at 763 mph in Thrust SSC, and he has joined Richard Noble once more for the Bloodhound Project. At the end of 2011, Richard Noble approached the Royal Electrical & Mechanical Engineers (REME) to lease technical manpower, workshop equipment and deployable engineering facilities. The proposal was put to Major General Paul Jaques and the REME Corps Colonel and received unanimous support. However, the initiative required careful financial modelling and – more importantly – approval. I was asked to staff the proposal through the Army financial chain along with a case setting out the benefits of involvement before it was sent to the Chief of the General Staff and then to the then Permanent Under Secretary (PUS) Ursula Brennan. The potential for Army Electrical and Mechanical engineers to engage with a young student population was unique. Using technology owned by every family to tell the story of science and engineering, we had the opportunity to inspire young people into STEM careers with the excitement and danger of the land speed record! This meant that we could support the growth of future British scientists and engineers. Some may join the REME or REME Territorial Army, and others might consider the Civil Service as a potential career path, be it Defence Equipment & Support (DE&S) or the Defence Scientific & Technology Laboratory (DSTL). Even if those individuals inspired into STEM careers did not consider the Defence sector, they will be able to make a contribution to the wider economy and support growing sectors such as the civil nuclear industry. After an uncomfortable wait, I received the news in May 2012 that the proposal had been agreed by Chief of the General Staff in consultation with PUS and a contract could be written by Army HQ’s Wider Markets team who specialise in requests by industry to lease Army resources. After another round of staffing, contract writing by the commercial staff (an excellent learning experience!) 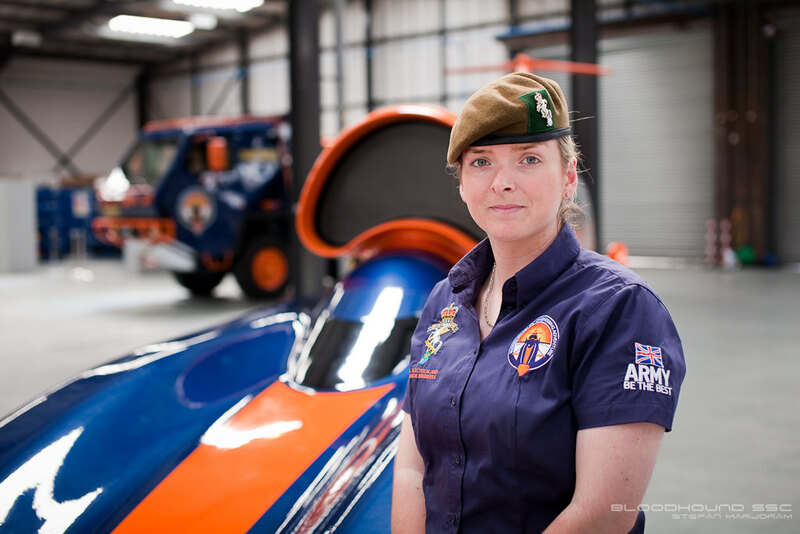 and lengthy negotiation, Army Headquarters signed a contract with Bloodhound SSC to supply technical services and equipment over a two-year period. Sapper Bradnam’s latest blog from the Royal School of Military Engineering looks back at an explosive week! Demolitions week. Everyone was in high spirits as the demolitions phase has a high reputation for being one of the better aspects of the course. To begin with, however, we had to learn all of the theory and safety relevant to the use of demolitions. Theory varied between learning the names of various components and their uses to learning the exact burning rates of safety fuse. We also had to learn the various different types of explosive charges such as simple slabs of PE4 to shaped charges designed to cut through bridges. It is, however, not very useful knowing what the parts do without being able to set them up, so we spent a considerable amount of time learning how to put together demolitions using dummy equipment including simple initiation sets and a bridge demolition. The bridge demolition practical was my favourite part of the theory side as it was good to step back and see in practice what you had been learning. 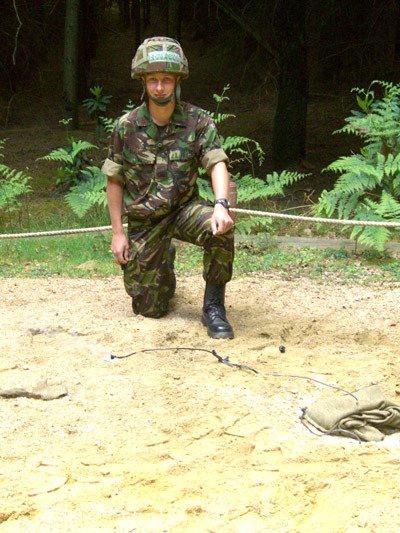 Once the theory was complete it was time to use live explosives, with our first venture being into the bull ring, which is a sand circle in a wooded area used for detonating small initiation sets. Eight people at a time sets up small charges at regular spacing around the sandy opening. Each had a different burning rate, timed go off one after another. Everyone initiates the set and then, as calmly as possible, walks out in a line back the way they came past the burning fuses. This might not sound much but when you are walking past a fuse which is burning shorter and shorter into a lump of PE4, all you want to do is run. My heart was pounding as I walked past! With the bull ring completed we came to the most anticipated day of all – Demolitions Day. On this day we all travelled down to Salisbury Plain Training Area for a day of blowing things up. Each section set up different explosive devices. My section made an improvised claymore (which to the shock of some wasn’t little box with a red laser from “Call of Duty”!) We also showed how to effectively cut through objects such as telegraph poles and trees using small amounts of explosive. Other sections showed how to cut through bridge panels and make a shaped charge out of wine bottles and also how to strip reinforced concrete structures. 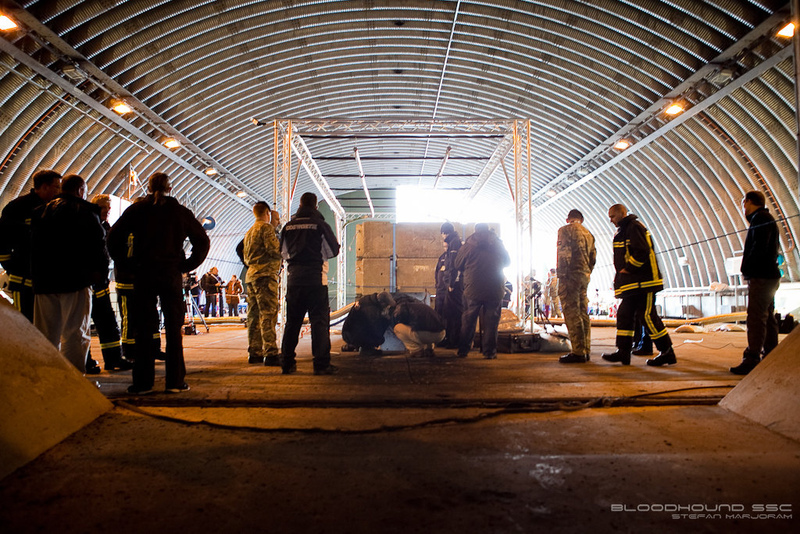 Once everything was set up we moved back to a bunker and watched as we detonated each set in turn. Once the explosions had awed us all we returned to the wreckage to have a look at the devastation we had achieved. I was shocked to see how accurate the use of explosives can be with things such as the bridge panel being cut almost perfectly in two. With all the fun, there was a serious side to the whole day – to give us confidence in handling explosives and also to teach us how dangerous and powerful they are. One thing that really stuck in my mind was when a detonator alone was detonated. It would be enough to cause severe damage! When using detonators we were always told to crimp down the correct end or it would explode and after seeing that I definitely do not want to be crimping the wrong end! With the Demolitions phase over it was time for the Field Fortifications phase. This module taught us how to build and defend fortifications. This included razor/barbed wire fences, 2 and 4-man battle trenches, low wire entanglements and even down to the basics of filling sandbags and building a wall. It was a short and sharp phase and I really enjoyed it. We built a Super Sangar which is a bit like the cuplock tower from the water purification module, except it has a permanent stairway and a roof. It is used out on operations at the moment and provides good protection whilst providing good fields of view and arcs of fire. I love building structures like this as there is something strangely satisfying looking at a huge scaffold tower that has been erected from scratch in just a couple of hours. I thought the first 2 weeks went fast but the course is now flying by. Weeks 5 and 6 involve watermanship (driving around in boats) and mine warfare modules, which I cannot wait to do. If the course continues to be like this then I don’t think I am going to want to leave.